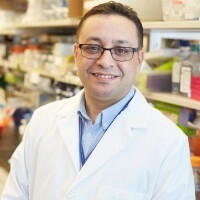 MSK researchers have identified a new group of immunosuppressive cells that are affected in opposite ways by two common checkpoint inhibitors often given in combination. These cells are easily detectable in the blood and could help doctors make immunotherapy work better. Immunotherapy drugs called checkpoint inhibitors have given hope to many people with advanced cancers. 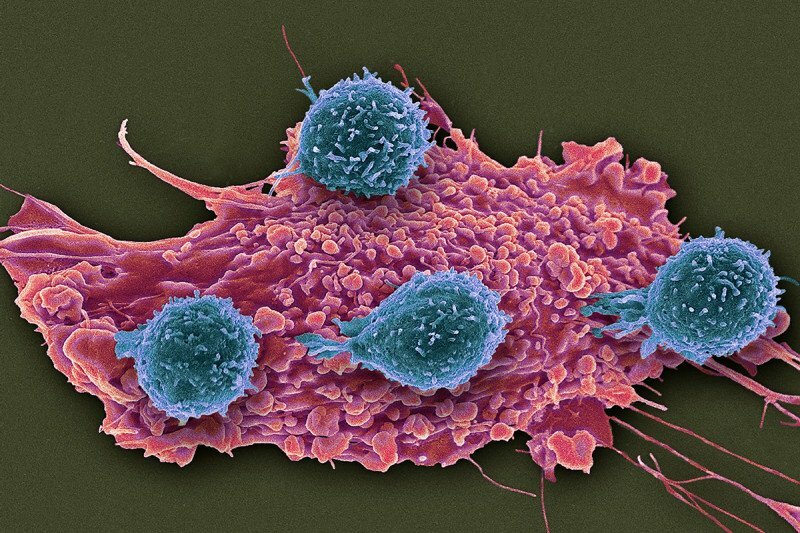 These drugs, which release molecular brakes on immune cells so they can attack cancer, have produced long-lasting benefits. But so far, they have worked for only a fraction of people who receive them. One problem is that tumors protect themselves by attracting immunosuppressive cells, which surround and infiltrate the tumors. These cells tamp down the immune response. Cancer researchers have been trying to learn more about these cells and prevent them from neutralizing the effects of checkpoint inhibitors. Now a Memorial Sloan Kettering research team has identified a new subset of immunosuppressive T cells. Investigating this cell group could help make immune checkpoint therapy more effective. In particular, monitoring these cells could improve the use of two immune checkpoint drugs that are often given together. The finding is reported in the journal Cancer Cell. The study was led by immunologists Jedd Wolchok and Taha Merghoub of the Sloan Kettering Institute at MSK. 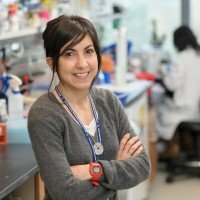 Roberta Zappasodi, a Parker Institute for Cancer Immunotherapy (PICI) research scholar in the Wolchok lab and the study’s first author, explains that the newly discovered cell subset is atypical. Normally, immunosuppressive T cells are recognized by a marker called Foxp3. The cells in this subset don’t express Foxp3. In addition, these unconventional cells appear to be affected in opposite ways by the two main types of checkpoint drugs approved by the US Food and Drug Administration. The checkpoint drugs target molecules on the surface of immune cells called PD-1 and CTLA-4. When used in combination, these drugs have been effective in treating some people with melanoma, kidney cancer, and lung cancer. The research team found that the anti-PD-1 drugs suppress the non-Foxp3 cells, which are otherwise expanded by anti-CTLA-4 drugs. This helps explain why anti-CTLA-4 therapy works much better when it is combined with anti-PD-1 therapy. In addition, the new immune-cell subset could indicate how well the two checkpoint inhibitors are hitting their targets. These cells can be measured by a blood test, so in the future, doctors could monitor for them and adjust the dosage of the drugs to keep the cell subset in the best balance. Dr. Wolchok’s team first suspected that non-Foxp3 cells might be immunosuppressive after noticing that mouse tumors with low levels of the cells responded better to immunotherapy. In the Cancer Cell study, the researchers looked at mouse models for cancer and saw that non-Foxp3 cells accumulated in tumors as they grew. They then treated the mice with each of the two checkpoint inhibitors and saw that these drugs modulated the non-Foxp3 cells in opposing directions. Our work will shed new light on the relative mechanisms driving response to immune therapy. They confirmed that this same phenomenon occurred in humans by monitoring the non-Foxp3 cell subset in samples from people with cancer who were receiving immunotherapy. In addition, they found that when these cells were not properly downregulated by a PD-1 blockade, patients had significantly shorter survival. The scientists are conducting further research to integrate this biomarker with others. This could provide even better accuracy regarding the effectiveness of checkpoint blockade drugs. They hope to begin studying these cells more in a clinical setting as people receive the immunotherapy drugs. “Our goal is both to optimize the use of this unique cell population as a biomarker of responsiveness and to find a means to limit it as a therapeutic effort,” Dr. Wolchok says. This research was supported by the Parker Institute for Cancer Immunotherapy (PICI) and by funding from the National Institutes of Health and National Cancer Institute, Swim Across America, and the Ludwig Institute for Cancer Research.